Kyle Thomas é o responsável pela beleza sonora do Isles of Kin. Pense em A.R. Kane, Cocteau Twins, envolto a ambientações sonhadoras, paredes sonoras hipnóticas e uma vocalização apaixonante. The Circle Effect é uma verdadeira preciosidade escondida no submundo dos bons sons, é ouvir uma vez e viciar para sempre. Que venha urgentemente mais material do Isles of Kin, nós agradecemos. A: I began recording as a solo artist in the late 90's. Before that, I enjoyed playing with various bands for years. The group that got the most traction was called "Dream 26". That was a very fun, and educational time, as I learned much from playing live, songwriting and collaborating with others, and musicianship. But like most bands, Dream 26 and all the other prior bands disbanded for a myriad of reasons. In 1998, I began to experiment with recording as a solo artist. It was an adjustment compared to being part of a band, but I didn't have to worry about the stresses of depending on others. 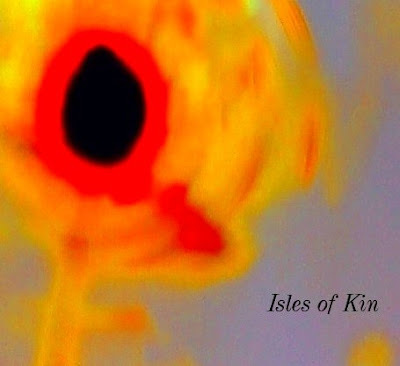 I didn't go under the moniker "Isles of Kin" until about 2001. A: I have many influences, and some change from time to time. But there are some that are always there, and some of them are Cocteau Twins, Mbv, A.R.Kane, Consolation Project, Arctic Flow, Slowdive, and Spiritualized (laser guided melodies). I'm also influenced by many artists not within the shoegaze genre, including 10,000 Maniacs, Ennio M., George Gainsbrough, old-school R&B, 80's new wave, Beethoven and some opera. and This Mortal Coil it'll end in tears. A: I've always enjoyed playing live and connecting with an audience. It's always been a surreal and intoxicating experience that demands one's best. Q. How do you describe isles of Kin sounds? A:Isles of Kin's sound... It always reminded me of a mix of my two favorite bands, Cocteau Twins and MBV, with a hint of A.R.Kane and Spiritualized vocals. Shoegaze, Dream Pop, Ethereal, Noisey, melodic, and blissed-out are some descriptions and adjectives that fit the music. When writing and recording, I almost always start with a simple drum track as a foundation. This evolves, or disappears as needed. Secondly, I usually create the main melody on guitar or bass. From there, I'll record any other melodies/sounds and record the vocal arrangement. I use this "scratch" recording as a reference, and then completely record the song again in its polished, final form. Throughout the entire process, sounds and nuances are added or omitted. A: Lately, I've been enjoying the newest Mimi Page album tilted 'Ethereal Blues'. Not shoegaze, but it has a very dark, romantic, floaty and dreamlike aesthetic to it, perfect for night time listening. 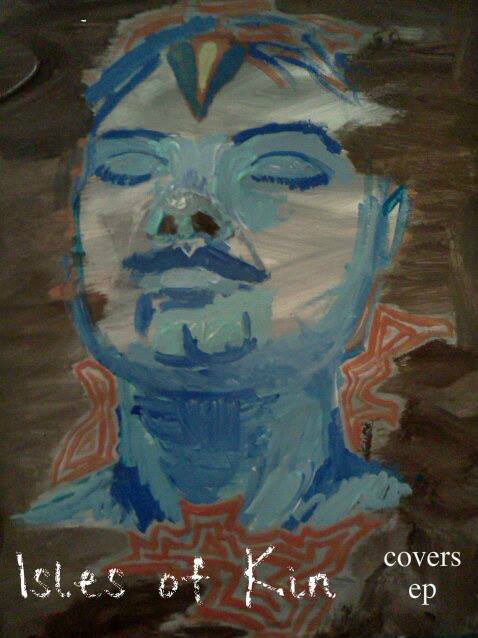 My friend Ron, who also has his own solo project tilted 'Consolation Project' is always sharing his talents with me. Arctic Flow is another project run by my friend Brian. Both Consolation Project and Arctic Flow can be found on Band camp and Facebook, and are both highly recommend. A: I actually obtained permission from Robin Guthrie to record a Cocteau Twins cover song back in the early 2000's. I chose to record 'Oomingmak'. I haven't had it uploaded in years, but there could be a version floating around the Internet. Maybe I'll upload it again one day, or re-record a better version. I also recorded 'Ella Megalast Burls Forever' but it was never released. I love the Cocteau'x music, and enjoy covering their material. I'd like to cover either Lorelei, Aloysius, or Ella Megalast Burls Forever again. A: My plans for the future are to be musically more productive. Because of personal reasons, my last release was in 2011. I'll have new material here in 2016, and wish to continue to create at a quicker pace. A: Parting words.... It's been a pleasure to be in this interview, and I appreciate the opportunity to discuss Isles of Kin.